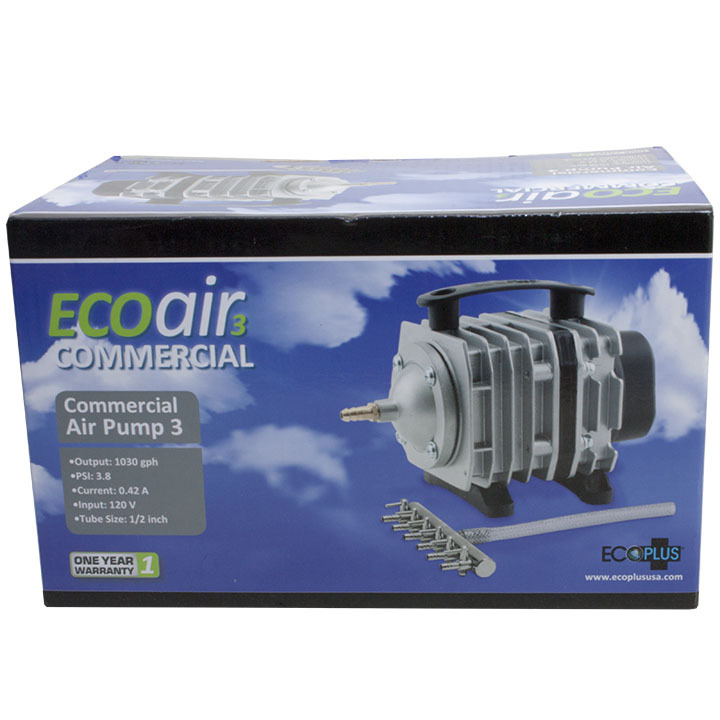 The EcoPlus Commercial Air 3 is convenient to operate without oil or much noise. The air pumps cylinders and pistons are made of excellent materials, making it strong, durable. There is very little wear after long periods of operation. 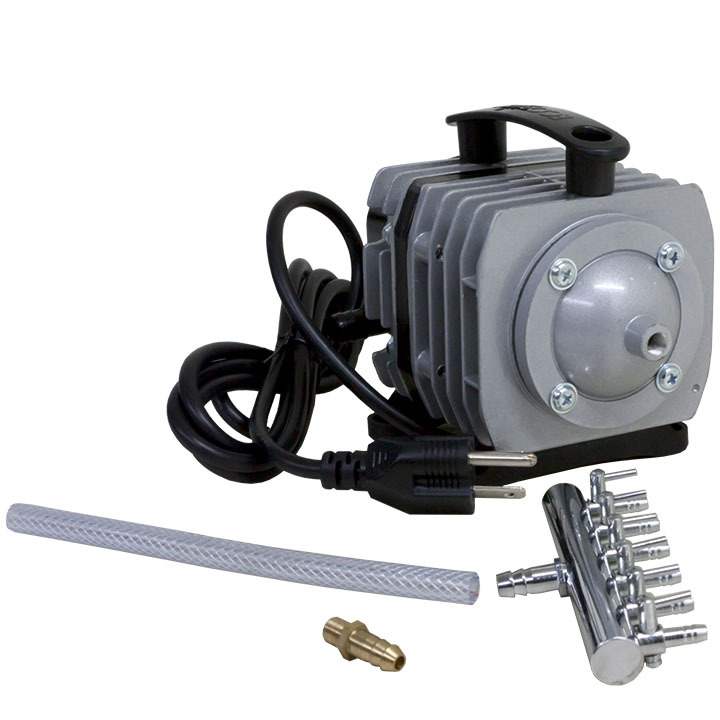 The Commercial Air 3 will meet many requirements of pumps with air dividers from four to twenty-two outlets. One year warranty.